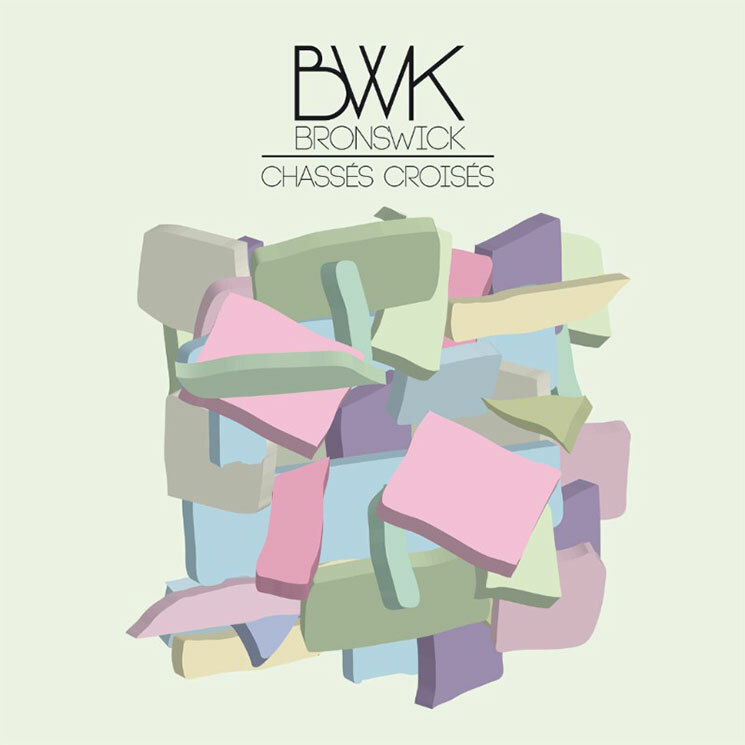 Montreal duo Bronswick are ready to unveil their sophomore EP, and although Chassé-Croisés isn't slated for release until the end of this week, Exclaim! is giving you the chance to hear the entire thing before it arrives. A press release calls the upcoming release "a hot and hazy daydream, splashed with a beautiful palette of clear and soft pastel colours," and it's an apt description for the work of Catherine Coutu and Bertrand Pouyet. The pair's colourful, pop-oriented production style ranges from upbeat ("Comme La Mer") to introspective ("Trouble"), drawing additional influence from the realms of trap and R&B. Their compositions are adorned with Coutu's soft, flighty vocals and Pouyet's deeper register, letting their "synth pop française" play with both the sinister and sweet. Chassé-Croisés arrives on February 12 through Montreal's Lisbon Lux Records, with an EP release show set to follow on February 26 at Montreal's Fairmount Theatre, as part of the label's third anniversary celebrations. Right now, though, you can listen to the duo's brand new EP in the player below.